Terrell is a well-known figure in both the legislative and non-profit fields with many years of experience. The first half of his career was spent in various capacities with the Virginia General Assembly, most notably serving as the Legislative Assistant to a Senior Member of the Virginia House of Delegates. 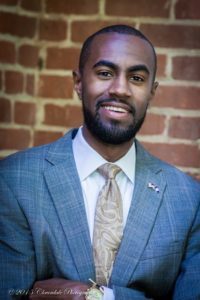 Within the non-profit industry, Terrell has held the position of Government Advocacy Coordinator for a statewide healthcare association and most recently served as the Director of Operations for a Virginia-based nonprofit. In addition, Terrell has a proven record of facilitating long-term business relationships with both government agencies and industry luminaries. His strong winning attitude and personality are assets that will complement and enhance our ability to meet the goals of our mission and vision as we continue to provide quality and innovative results to those we serve. This entry was posted in Spotlight, Staff Announcements. Bookmark the permalink.